Lots of options here in the H4 prestigious Cassey Quarter! Located in one of the most desirable sections of Como and surrounded by some beautiful luxury homes and tree- lined streets. All dwellings are returning $1000.00 per week. 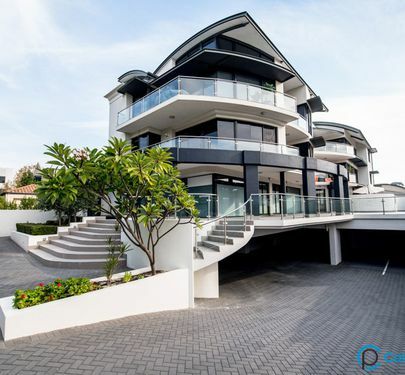 Suitable location for luxury multi-level townhouses with views, short stay accommodation or retirement living. Contact Calnan Property for more details! The sellers want to see offers on this Quality Webb Brown-Neaves home on a decent green title block. Comprising of 4 Bedrooms, 2 bathrooms and a large study this is an ideal family home to ensure future growth and accommodate the modern growing family for many years to come. The floor plan is one of the many intelligent features that cater for segregated adult living. Beautiful high ceilings in the front formal lounge/ home theatre which flows through to the master bedroom with full en-suite with large spa-bath, beautiful natural light and sparkling tiles. Spacious walk in robe with plenty of space and access to the rear courtyard. Step down in the the beautifully spacious main living area off the large kitchen with stone bench tops, stainless steel appliances, and floor to ceiling windows which lead to the undercover alfresco area with tranquil water feature. The East wing of the property features 3 bedrooms, one with semi en-suite with porcelain tiles, stone bench-tops and separate powder room. There is also a separate games room ideal for the kids study & PlayStation with access to the rear yard space. Situated in a leafy quiet street and elevated there is a beautiful outlook from almost every room of this north facing residence. Call Calnan Property on 9364 3999 to arrange your inspection. 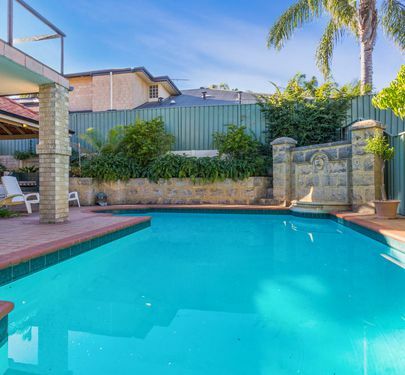 Located in one of this suburb's most sought after jacaranda lined streets comes this home. A quintessential example of the true "West Australian Lifestyle". Carefully designed to take advantage of the river vista on a gentle easy care sloping lot that caters for both privacy and functionality. From the moment you step through the front door you will realise this home is not your typical "McMansion" but a home that is as individual as you are. Ground floor accommodation consists of elegant entry, study and step down to meals, family and kitchen. Shiny stainless steel kitchen benches and stone wall backdrops create an interesting but comforting decor throughout. 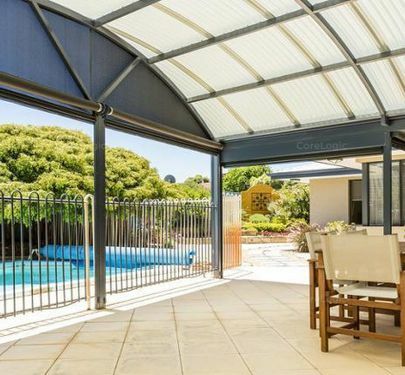 Bi- fold doors open on to the outdoor entertaining area. The enclosed pool area has a shaded bar and kitchen area the could compete with any Bali resort. Upstairs to the main living area and balcony with river glimpses. From the master bedroom you will enjoy the river panorama to brighten your day. Second bedroom with a Juliet balcony that overlooks the fabulous streetscape. This property has been carefully maintained by the owners and awaits your inspection. Call us today on 08 9364 3999 All Hours to book your viewing. 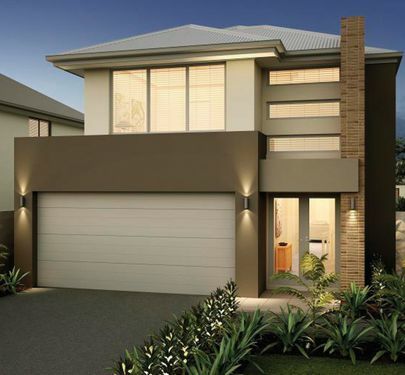 Located in one of Perth’s greatest growth paths, this 2292sqm lot has pre-approval for eight survey strata lots. Located opposite Signal Hill Park and minutes to Belmont Forum, are just some of the standout features that attract families to this area. Belmont City boasts close proximity to the City of Perth, Crown Towers, Optus Stadium and the new DFO. Of course access to Perth Airport and the new proposed Redcliffe Train Station only add to the practicalities of this growth precinct. 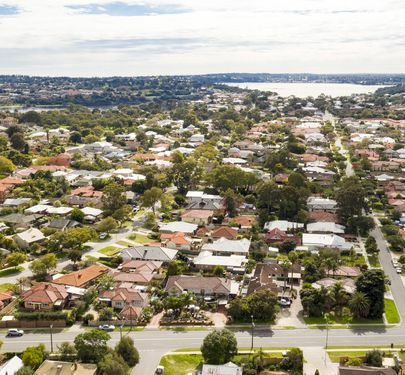 Opportunities of this type are fast becoming a thing of the past in Perth, as the supply of vacant land and the development prospects they provide disappear forever. Don't wait another 100 years! The astute developer has the opportunity to make this eight family homes for a new generation of owners. Your own Oasis with Spectacular Views! Welcome to your new luxurious family home, built to a magnificent standard with the highest quality finishes. This modern, resort style home sits on a large 756m2 elevated block in a quite cul-de-sac, in the sought after suburb of Beaconsfield. The home itself is built to the highest standard, with so much living space, this home is sure to impress the most discerning buyer. Featuring double entry doors, high ceilings throughout, separate home office/study and huge theatre at the front of the home. The Master bedroom is also conveniently located at the front of the home, with a luxurious en-suite and spacious walk in robe. The en-suite is immaculate with spa bath, floor to ceiling tiles and twin basins. A powder room is also conveniently located close to the home theatre and study. As you wander through the lower level, you enter the open plan living area incorporating a gourmet kitchen, breakfast bar, dining and family area. The kitchen features stainless steel appliances, a 900mm oven, large pantry and quality stone bench tops. The laundry is conveniently located off the kitchen, making household chores a breeze! The dining area opens up onto the spacious outdoor entertaining area, overlooking the pool and outdoor spa. As you make your way up the staircase, you are greeted with the second living area at the top of the stairs. Off this area is three more king size bedrooms, all with built in robes. The main bathroom is also on this level offering convenience for children and guests. The games room is also at the top of the stairs, featuring a bar equipped with sink and a private balcony. Spectacular views are enjoyed from this beautiful space. Boasting a perfectly manicured garden with large below ground swimming pool, separate spa and huge alfresco area, you will love spending time outdoors all year round in comfort and style. Featuring quality café style blinds, gas BBQ and a choice of spaces to entertain guests. With too many features to list, this home is a must see! Please Call Calnan Property on 9364 3999 to book your private viewing today!! Your choices are endless! Sharp buyers will see the value just in this property’s LOCATION, let alone the size of the block & R20 zoning with the capability to subdivide into 2 green title lots (WAPC approved). You could even rent out the existing property while you decide which option is for you. Only a short walk from Canning River, Blue Gum Reserve, IGA supermarket, shops, cafes, medical centre and more! 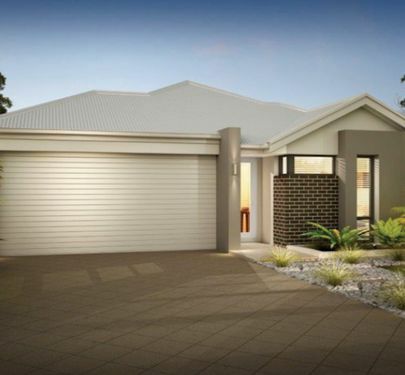 Easy access to Leach Highway and Kwinana Freeway. A 5min drive to Garden City Shopping Centre and easy access to transport links. 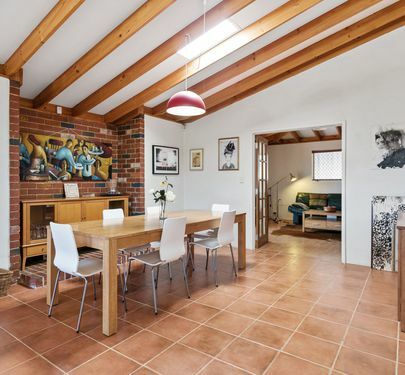 Properties like this one do not come to market often so call Calnan Property now on 9364 3999. DEVELOPMENT OPPORTUNITY OR ITALIAN DREAM! 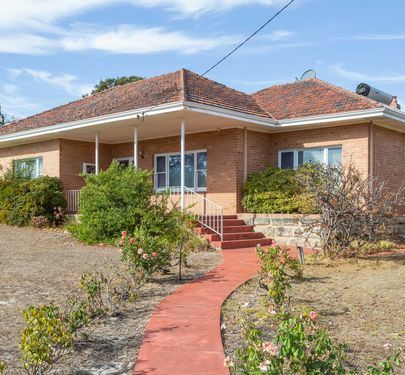 Sprawling 1506sqm block in prominent Bicton location. This large plot is zoned R30/40. This may facilitate 5 group dwellings (STCA). The property comprises of a large 3 bedroom home with a large under croft area on elevated limestone footings with plenty of storage space. Beautiful Terrazzo flooring on the front balcony and back activity room. The limestone footings are ideal for wine cellar, pickling or sauce rooms and there's plenty of space in the backyard to live of the fruits of your land! Beautiful high ceilings throughout all living areas and bedrooms and a handy circular driveway. Lovely ornate fittings for the retro lovers. This property would be great for home occupation. 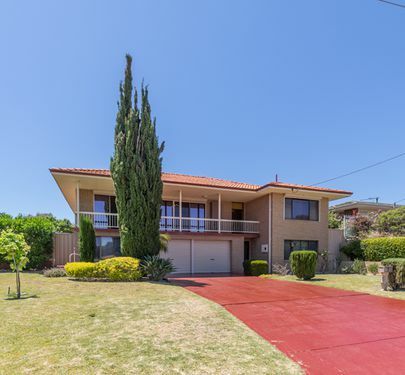 Located within short distance to Doctors Surgery, Fremantle, Point Walter Reserve and Golf Course,Swan River and some of the greatest restaurants and cafes south of the river this property is ideally located! Call Calnan Property for more details. Novus Homes Luxury Build - One you certainly won't want to miss with a layout you will fall in love with. 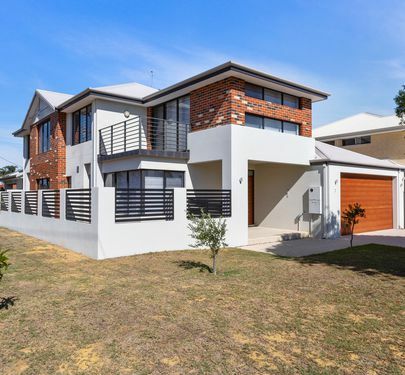 Step inside and be very impressed with this homes grand entrance of feature walls, extra large hall and living spaces with beautiful Australian timber flooring throughout. Current owners have put much thought and care into a design that will suit the modern day family and have placed in all the upgrades you will certainly appreciate. The gorgeous master bedroom is tucked away on the main level which features a generously sized walk in wardrobe and stunning en suite that ticks all the boxes, including his and hers vanity sinks, separate toilet and large shower. The main hub of the home is spacious and open plan, entertaining all your family friends for meals and celebrations can certainly be achieved with this large living and dining space which will fit a large dining suite. The kitchen is top of the line and will make any chef smile as soon as they greeted upon the beautiful glass splash back, quality engineered stone over sized bench tops, plenty of deep soft closing cupboards. Kitchen also includes stainless steel appliances, large walk- in pantry, dishwasher and gas cooking. Flowing naturally off the kitchen is the laundry with plenty of space for linen and a separate W/C. The laundry leads out with sliding doors conveniently to the side access. At the rear of the home is a delightful undercover alfresco area with grass area for the kids to roam. Leading to the second level of the home is a second living space with a balcony, perfect teenager/ guest re treat area. The hall way leads to remaining three generously sized bedrooms, all with built in wardrobes, extra large upstairs bathroom with double vanity sinks, full height tiling and spa bath! Windows are north facing so all rooms get plenty of sunshine! If you are looking for a quality built home in a fantastic area, walking distance to all amenities, including shops, cafes, public transport and in Rossmoyne SHS Zone then this location is absolute top notch! Please call Calnan Property in Applecross 7 days a week on 9364 3999 to organise your private viewing today as this home is a must see! Welcome to your new family home in beautiful Bateman. This well appointed large family home is light, modern and conveniently located in the Rossmoyne Senior High School Zone. Separated by the main living space the master bedroom and en-suite are at one end of the home and the other 3 bedrooms and second living area are located at the other. This functional floor plan works perfectly for a family with teenage children or a multi-generation family. Boasting large bedrooms, all with built in robes and the master bedroom featuring a huge walk in dressing room, there is plenty of built in storage for everyone. The separate home theatre room at the front of the home, provides year round entertainment for the whole family. 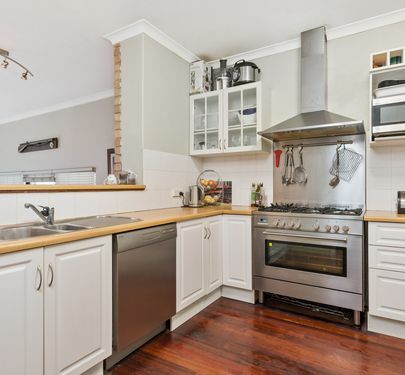 •	Well appointed kitchen including gas hotplate, electric oven and dishwasher. The home is within walking distance to local schools, Bateman Village shopping centre and Bull Creek Train Station. Just a short drive to Bull Creek shopping centre, Southlands Shopping centre, Fiona Stanley Hospital, Murdoch University and the Perth CBD. This property is in an excellent location for public transport and is ready for its new owners to just move in! Please call Calnan Property on 9364 3999 to arrange your private viewing today! UNDER OFFER WITH 48 HOUR CLAUSE- ACT NOW! Serenity surrounds this beautiful 4 bedroom plus study family home. Set in the wonderful lush location of the Noalimba Estate, you will fall in love with this Don Russell built home. Driving past you will see this property location ticks so many boxes. Peacefully positioned and set across from the parkland, you will feel the comfort knowing your home is fully fenced and the kids have an endless amount of space to roam right in front of your home! Step inside and be “wowed!” The theatre room is located at the front of the home, which is a perfect space for movie nights and the master suite is not too far away with a generously sized en-suite with floor to ceiling tiles and walk-in robe. The remaining three bedrooms are all queen bed size with large built-in robes at the rear of the home. Stunning timber flooring throughout and elegant high ceilings welcome you into the main open plan living of the heart of the home. A spacious vogue kitchen with stone bench tops dishwasher, a glass splash back and ample cupboard space, is fitted with a stainless steel 900mm gas and electrical upright stove. The kitchen opens up to a large dining area and living space which fits the whole family plus is perfect for entertaining leading to the outdoor alfresco. If you are looking for a home that is low maintenance but still has garden and grass then this block is a perfect size. There is even a large shed- room for all the tools! 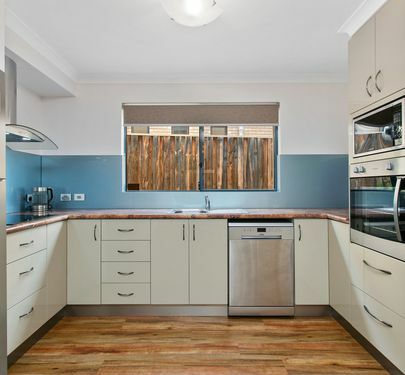 Located close to Bull Creek train station, Bateman primary and is in Rossmoyne SHS ZONE! Call Calnan Property on 9364-3999, 7 days a week for inspection times today, this is a QUALITY home you do not want to miss! Are the hallmarks of this superbly renovated four bedroom home boasting superior acoustic qualities, making the home whisper quiet inside. From the moment you step inside, you’ll be embraced by the contemporary, light and airy feel this renovated and well maintained family home has to offer. This is a house you will love to come home to! Made complete with a floorplan that delivers ample space and living areas that flow seamlessly through bi-folded glass doors out to the courtyard, it is a home which embraces casual family living and entertaining at its best. This beautiful home has a modern, clean, fresh and open plan feel, featuring the well-appointed & large master bedroom with en-suite at the front of the home, the other three generously sized bedrooms at the rear. The spacious, yet low maintenance home is only a short stroll to Garden City & public transport. Being within easy access to local parks, the river, cafes, restaurants, Fremantle & the city, you will never be left wondering what to do on your weekends. At fantastic value, this picture perfect home provides a rare opportunity for families to secure a quality home in the sought after Applecross Senior High School zone…this is the affordable step up you have been looking for! With nothing left to do but move in, this glorious family home won’t last long! Please call Calnan Property on 9364 3999 today, to arrange a private viewing. Leeming’s Best...And It's Dressed To Impress! Upon arrival the mood will immediately be set. A stunning location on a sought after cul-de-sac in West Leeming. The newly rendered façade is complimented by the luscious gardens and timeless plantation shutters on all front windows. Step inside and be wowed! Imagine impressive modern décor, immaculate presentation and perfect lighting...it is obvious that plenty of work, love, pride and detail has gone into uplifting this property to a home you can truly be proud of. The owners have covered every aspect with no expense spared. This exquisite and fully renovated 4 bed, 2 bath plus study has a spacious floor plan with three separate and versatile living areas. Be the envy of your friends in a home of generous proportions and magnificent finishing touches which will do nothing but impress you. It is only once in a while that a home like this comes to the open market - so seize the opportunity to secure your family's future. A home not to be missed & a pleasure to present! Call Calnan Property on 9364 3999 to arrange a viewing. Be the envy of your friends in this sprawling double story home on a massive 911sqm green title block. 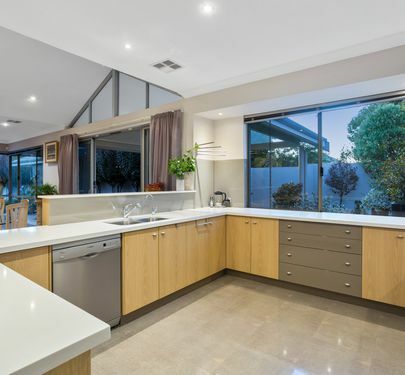 Elegant and timeless finish complimented by recent renovations with beautiful modern kitchen featuring glass-splash and stone bench tops which are overlooking the outdoor entertaining area and alfresco. 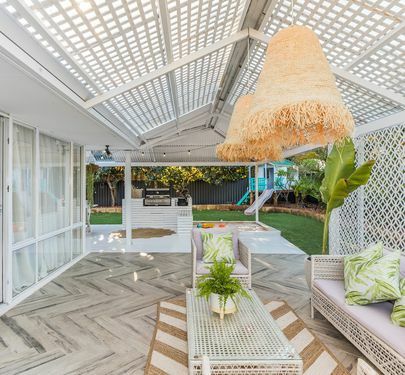 The alfresco is equipped with outdoor stainless steel kitchen with gas, wine fridges and patio fan for those hot days all surrounding the saltwater pool alongside plenty of grass area for the kids to play. The designer bathrooms are interior dream with custom black plantation shutters, high quality tiles, double basins and 5 star hotel style luxury finish. Engineered modern timber floors line the home with carpeted rooms and sunken lounge, spacious and spectacular voided entry with wow factor chandelier! 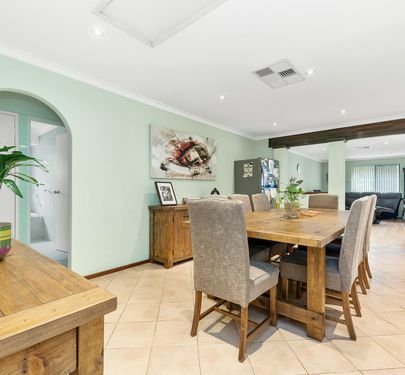 This luxurious Canning Vale home comes with many amenities and boasts an ideal family resort style residence with over 240sqm of living space, plenty of room for a veggie patch or the kids to kick the ball, a decent sized swimming pool, large storage shed, large rolla-door shed for all the toys you could want! Ducted reverse cycle air conditioning providing year around comfort and gas bayonets for winter. You'll want to invite all of them to this two story resort style home. Nestled in a whisper quiet location and with the added privacy of screen walls is a large five bedroom three bathroom home. This home will suit the largest of families with a very versatile floor plan that provides space and separation. Stunning glass encased games room, huge pool, outdoor entertaining area and lots of room for boats/van. 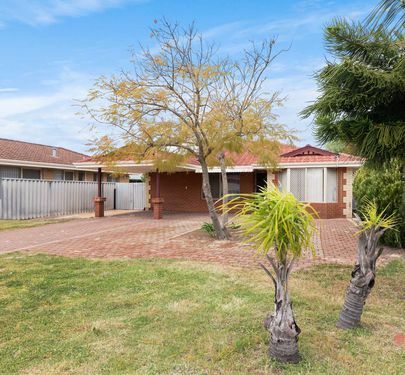 This property is located in the Willetton SHS and Oberthur Primary School Zone. Currently leased until February 2019 with tenants that are willing to stay. Inspection by appointment only. Luxurious in lifestyle, yet humble in character. This glamorous coastal style family home is literally one-of-a-kind! Behind timeless french doors and complimented by detailed elegant tiles, you'll feel like you've stepped into a modern 5 star hotel from the moment you lay eyes on this stunning residence. No stone has been left unturned in the renovation of this Leeming family home. The Light and bright master bedroom is fitted with a sumptuous designer wardrobe for the Monolo collection. Feel like a movie star while you get ready in front of the French gilded mirror and dresser. The master bedroom ensuite is a work of art, golden fixtures and fittings with herringbone pastel tiles. A true work of art. From the master bedroom enjoy a chai tea under the adjacent undercover alfresco designed with every aesthetic aspect considered with stylish Hampton inspired engineered floors surrounded by lush greenery. The original formal dining has been put to greater use to facilitate modern lifestyle with a bespoke study and extra spacious bedroom with built in robes. The North wing of the house has been mastered to provide a practical approach to family living with the other adjacent rooms all styled and opposite a luxuriously well appointed second bathroom. 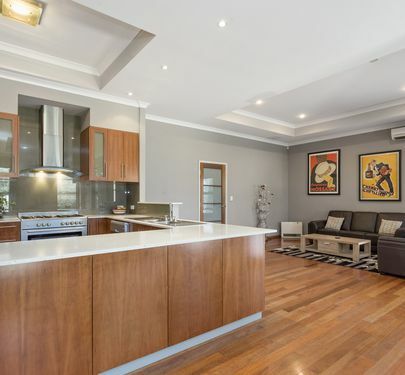 The real WOW Factor of this home is in the main living area, a great spacious and divinely styled family/ meals area with deluxe modern kitchen, stone bench tops, down lights and quality appliances. State of the art light fittings provide an ambience second to none. North facing aspect for the outdoor entertaining area with in vogue rattan light fittings, Hampton inspired lattice for superior acoustic features and all year round entertaining possibilities. For a truly unique and fabulous residence look no further than Matthew Avenue. Your fairytale lifestyle awaits. - Master bedroom with ensuite, dressing area and built in walk in wardrobe. Call today for an inspection. 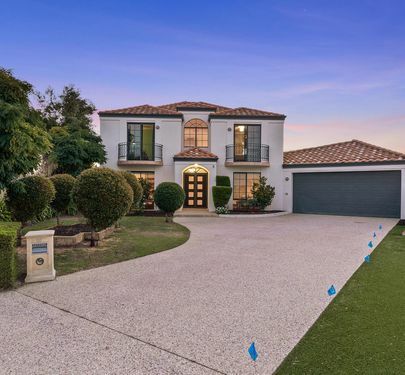 Located in the sought- after suburb of Bull Creek in Willetton SHS ZONE and Oberthur Primary School Catchment! This property features a unique and well designed floor plan with ample room for a growing family or a multi generation family looking for space. With impressive beautiful boosting street presence, walk in and be even more impressed by the large internal size. Sunken Master suite is located at the front of the property, featuring its own private living space ( perfect spot for an office, mini lounge room or baby area), en-suite and walk in wardrobe. Bright and sunny and privately located from the remainder of the rooms this suite is a fantastic space. To the left of the hall there is a large study overlooking front gardens AND another room off the study which always has been initialised as a 5th bedroom in the house, making this area a perfect guest room or a parental retreat with high ceilings and big windows. The main hub of the house is the open plan living, dining and kitchen area. The kitchen is bright and modern, also includes gas cooking, walk in pantry and a dishwasher. Need a large second living space or games room? tick! The games room includes a bar and makes for a great pool room or could be a great kids play room or relaxing theatre room. All remaining rooms are at the rear of the home that are nicely sized with large main bathroom with spa and a separate toilet and laundry. The laundry leads to the backyard and in the backyard there is a private and low maintenance pool, grass space for the pets and kids to play AND still lots of undercover entertaining, with large patio perfect for family gatherings all year round. Wit the kids education taken care of, fantastic location, walking distance to the Bull Creek shops, Karel Avenue for transport this home is not one to miss. Please call Calnan Property in Applecross on 93643999 for viewing times today! The ultimate lifestyle awaits you in Melville! Green title, House and Land Package. Ideal for downsizing family! Why buy into a strata! Prime street front + luxurious spec 2-storey h&l package!! Contact us now for more info! This street front house & land package in Melville is just astonishingly beautiful! So, don't let this opportunity go! Michael Britnell @ Residential building for designs and Calnan Property for land purchase. Home designs available on requests: JUST CALL/SMS/E-MAIL US NOW! SHORT STROLL TO PRENDWICK PARK, NORTH FACING FAMILY HOME! Welcome to beautiful Turo Close. A streetscape to be admired and surrounded by delightful homes on decent block sizes. 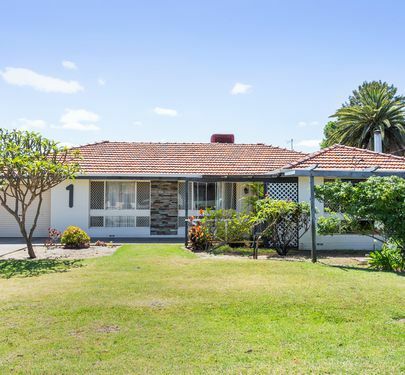 Situated in a level location this 4 bedroom, 2 bathroom family home is just a short stroll to picturesque Pendwick Park with the Rostrata Family Centre, small lake and also in walking distance to Rostrata Primary school. Enjoy weekends with nearby delicious dining on Collins road, run to the IGA for a carton of milk at Rostrata Shops with pharmacy, Fish & Chips, Six Willows Cafe & a bottle shop. 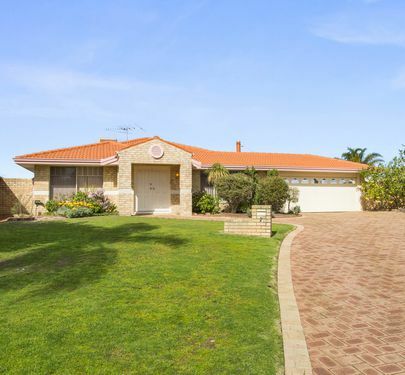 Make sure your children are high in the ranks as this home is also in the acclaimed Willetton SHS zone. * Beautiful Tasmanian Oak timber floors in main living areas and bedroom, no expense spared! * Ducted Evaporative A/C throughout & Split system in Master Bedroom. Potential added with enquiries allowing (Subject to council approval) room for garage extension and up to 70sqm granny flat. Similar to neighbouring properties. This home is currently tenanted in a fixed term lease until next year. Please call by appointment only to arrange inspection times. From the moment you arrive, expect to be taken back in time by this charming, immaculately maintained and much loved home. A front balcony with tree top views, four decent sized bedrooms, plenty of living space, formal dining and an open kitchen, this home has ample space for the entire family. Step outside to soak up the tranquility and peacefulness. 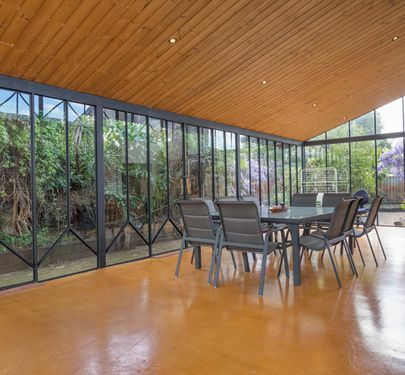 The large patio area overlooks a beautiful garden with fruit trees and a grapevine. This is the perfect place to sit and unwind after a hard days work. This home is perfectly located within close proximity to local shops, public transport, hospitals and Murdoch University. Don't miss out on a great purchase! Call Calnan Property on 9364 3999 to arrange a private viewing. Located in a quiet cul de sac and on close route to bus station and walking distance to cosmopolitan and trendy Riseley square these apartments offer salubrious suburban lifestyle with without the maintenance, price or up-keep! Nearby Shirley Strickland oval you'll have all the yard you'll need and won't have to look after it. What a lifestyle! Enjoy weekends meeting friends at the local wine bar and dinners at some of the most divine culinary experiences Perth's southern suburbs has to offer without the hustle and bustle of the CBD. There's a variety of apartments and townhouses (some leased currently) to suit many living situations for all ages and lock and leave lifestyle. Call to arrange an inspection today. In this much loved family home! Perfect for families looking to enter the Willetton Primary & High School zone on a large family sized block and at an affordable price. This family friendly street is just walking distance to local schools, parks and shops. Call Calnan Property now on 9364 3999 to secure your family's future in a very convenient location. 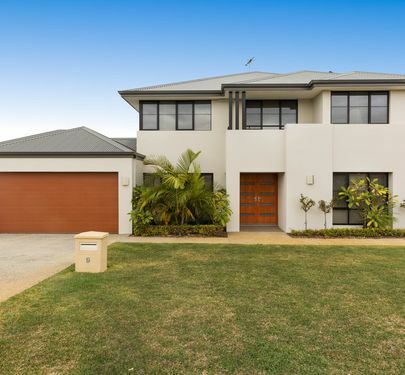 This family home packed with potential is ideally located in a quiet cul-de-sac and just a short stroll to the Melville Glades Golf Course, local shops, parks, public transport & Banksia Park Primary School. 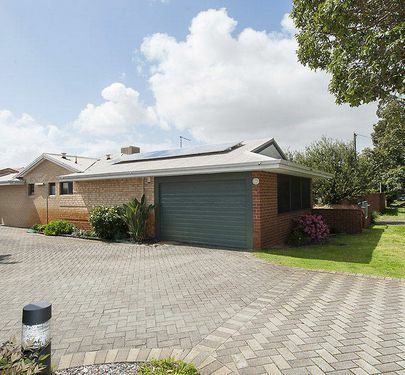 Built in 1992, this solid 4 bedroom, 2 bathroom home sits on a generous 829sqm parcel of land. The house boasts a lovely formal lounge and a large open plan kitchen, dining & living area. Step outside to a spacious undercover area, sparkling below ground pool, low maintenance gardens & room for the kids to run free. Ideal for the whole family...this home is a must see! Call Calnan Property on 9364 3999 to arrange a viewing. Nestled in a peaceful cul-de-sac location is this newly renovated split level home. With its fantastic floor plan, private courtyard, views looking out to your very own nature reserve and the beautiful scent of nearby gumtrees, you will be hard pressed to find a better home than this. The current owners have taken care of everything for you! New paint, new floor coverings, new kitchen, new oven, new stove, new rangehood, new dishwasher, new window fittings, new light fittings...even new light switches & door handles! With nothing more for you to do other than move in, you won‘t want to miss out on this opportunity! • 3kw Invertor & 3.8kw solar panels. This home is superbly located with easy access to Murdoch University, SJOG, Fiona Stanley Hospital, Kardinya Park Shopping Centre, Fremantle and cycle/walkways to Bibra Lake Nature Reserve literally at your doorstep. Call Calnan Property on 9364 3999 to secure your viewing. House & Land Package. Option of 1 & 2 Story. 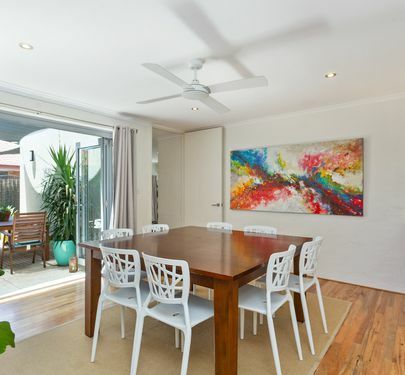 Walk to Kadidjini Park, Downsize & Stay in Salubrious Melville area! Stop renting.... and start owning!!! Have new in Melville and save $$$ on stamp duty! plan living H&L package comes with our complete full-turnkey inclusions. One of Perth’s highly sought-after suburbs. TO BE BUILT BY RESIDENTIAL BUILDING WA & IN-VOGUE HOMES. PRICE IS HOUSE AND LAND. 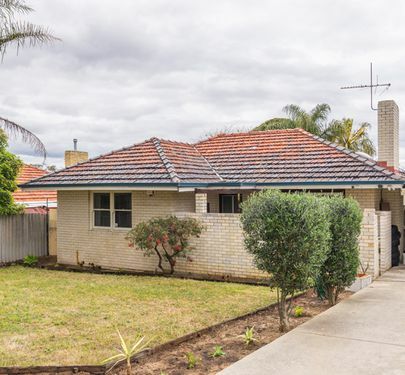 Located in a quiet street, riverside of Canning Highway sits this older style family home and within easy reach of shops schools and restaurants. The Executors instructions are clear and simple. "Sell" To that end the property the price has been reduced substantially. Comfortable two bedroom home that has been well maintained but would welcome a makeover to bring back the charm. Given the current rental market trends the property would be attractive to renters given the convenience of the location. This is a rare chance to secure a desirable location and ultimately redevelop. The evidence is indicating the market is moving so make sure you are not left behind. Inspection by appointment seven days a week. Call CALNAN PROPERTY anytime on 9364 3999 to arrange. 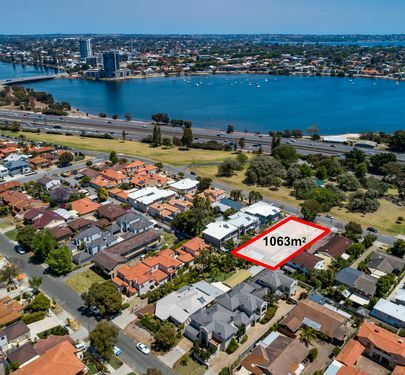 Here is an opportunity to own a low maintenance and high yielding property in the heart of East Fremantle. 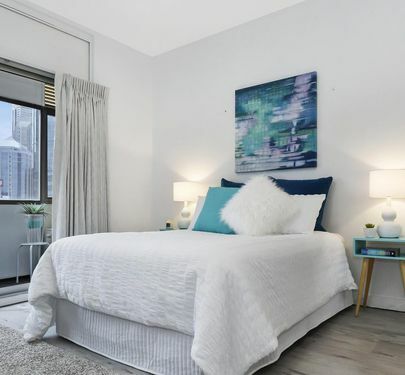 This well appointed two bedroom, two bathroom apartment displays both stylish modern features and effortless convenience. Open concept dining and living area portraying an instantaneous impression of space presenting clean lines and neutral tones that’s perfect for entertaining. Sleek modern elements and an abundance of sunlight and natural surroundings to filter in. Be the envy of your family and friends living a lavish lifestyle in this premiere location. 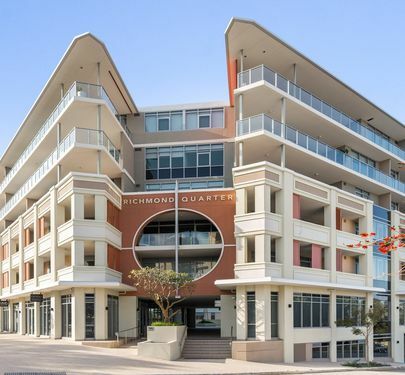 Set in the Richmond Quarter Building positioned in a dynamic lifestyle setting surrounded by countless cafes & restaurant’s, just moments to Fremantle city & Fremantle Station. Step out the front door and stroll to the swan river, left bank, parks, shops, cafes and wine bars. 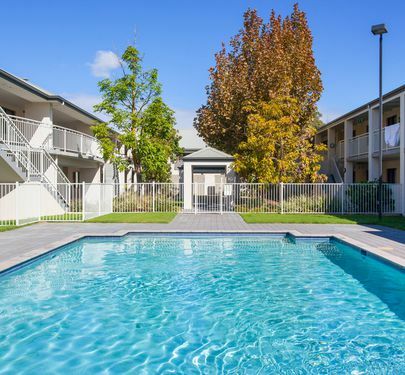 Close to all amenities with excellent public transport links within walking distance, 400m to the Swan River including the Left Bank Hotel, 500m to George Street Precinct, 2.4km to Port Beach, 3.0km to Central Fremantle. Please call Calnan Property on 9364 3999 today! Located in a beautiful street on the coastal side of Munster, with manicured gardens this tasteful and bright 3 bedroom, 2 bathroom family home is an ideal way to start out right. Light bamboo floors throughout the child- friendly living areas which are complimented by white stone bench tops and cabinetry. A spacious 'wow factor' applies to the heightened ceilings in the family/ Meals room with space for pendant lighting. The bedrooms are generously proportioned and the bonus enclosed home office/ study is a great addition for the modern family. Ideal for first home buyers that don't want to wait for a build or downsizing baby- boomers who want to cash up and travel more! Located on a sought after street in Coolbellup, this 1960’s home is accompanied by a detached rear studio apartment. Both sit on 728 square meters of land which can be subdivided (zoned R30). Renovate, rent out both, live in one and rent out the other, rebuild or subdivide…the options are endless! The original residence is a neat 3 bedroom, 1 bathroom which comes with a renovated kitchen. With further renovations, this little gem has the potential to be a gorgeous home. 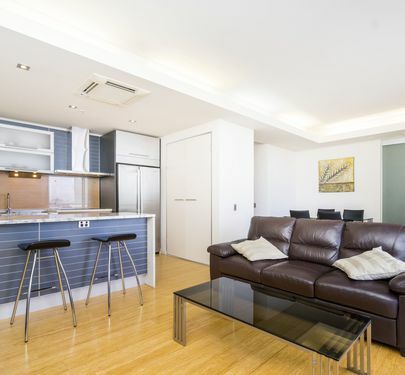 The fully self-contained rear apartment is equipped with its own kitchen, bathroom, living area and can be occupied separately to the main residence. This property really is a must see. 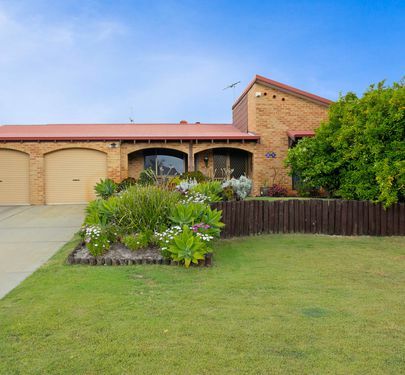 Call Calnan Property on 9364 3999 today to arrange a viewing. Looking to invest or up-size into a 4x2? If so, this is the hous for you. 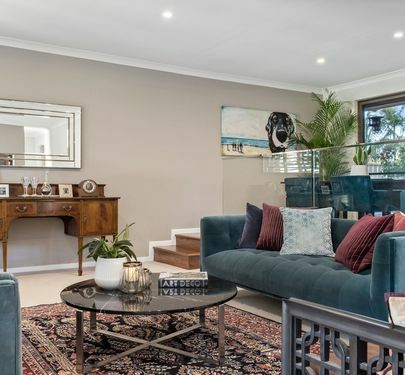 Sitting on 614sqm, this home has a separate lounge, an open plan kitchen/family/meals, two bathrooms, patio for all year round entertaining and drive through access to the back of the property. Ideal for a growing family or the savvy investor. Walking distance to Beckenham Primary School, train station and local shops. 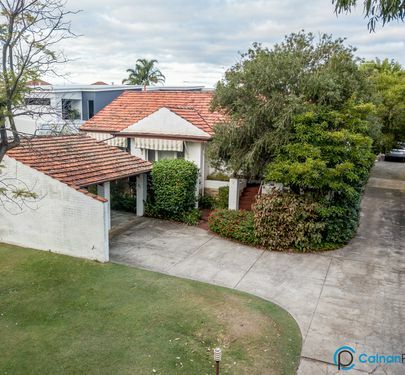 Call Calnan Property to arrange a viewing. This 58sqm strata lot has a host of potential uses under the current zoning. 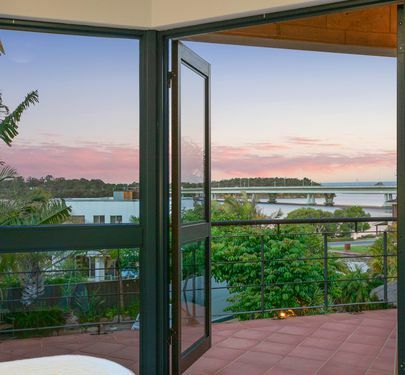 Located on the ground floor of a prestigious luxury three story building in the heart of Canning Bridge. The population of this area is about to increase dramatically with the completion of of several large residential developments currently under construction. The property is located within the M15, Q1 Zone of the Canning Bridge Activity Centre Plan. Uses allowed are Restaurant, Small Bar, Cinema/Theatre, Hotel, Shop, Fast Food Outlet, Retail, Educational Establishment, Civic Uses. Additional space is available next door of 49sqm and there is the opportunity to purchase car bays. This an opportunity for a new enterprise to be based where traffic flow is going to explode. Your chance to capitalise on the exciting growth of Canning Bridge Precinct. The impressive grand foyer entry takes you up to this 11th floor 1 bedroom, 1 bathroom apartment. From the moment upon entry you'll notice the stunning timber front door with sparkling chrome finishes. 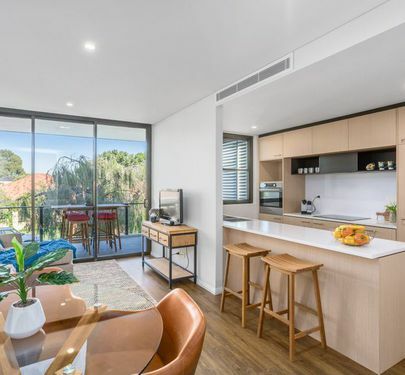 Completed to a high standard with solid calacatta marble style bench tops, feature lighting, stainless steel appliances, timber floors, top quality window treatments this apartment space truly is a work of art. The balcony looks North with uninterrupted views over to the recently complete 5 star Westin Hotel. Surrounded by many up and coming developments and infrastructure this apartment is sure to give future growth and decent yields. This complex is equiped with Pool & Gymnasium and is just a lift ride down to some beautiful coffee shops! Call our office today to get an exclusive look into this exclusive address. ONLY ONE OF 2 LEFT!!! Lot 90 (Troytown), Melville. GREEN TITLE Surrounded by prestige homes and very short stroll to parklands! OWNER OFFER 50 HOURS OF ARCHITECTURAL CONSULTING. 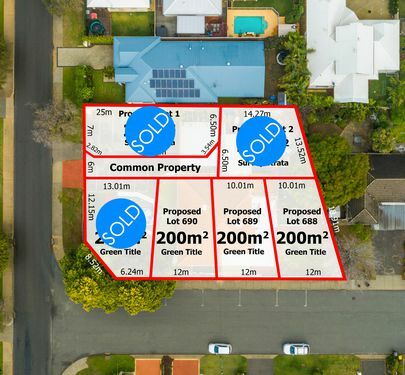 Lot 89 (Troytown) is the second closest GREEN TITLE lot to Kadidjiny Park. OWNER OFFERING 50 HOURS FREE ARCHITECTURAL CONSULTATION. Comprising of 200sqm and a 12m frontage customise your own Melville residence surrounded by prestige homes and so much more! 2C TROYTOWN WAY! CLOSEST TO THE PARKLAND! FIRST HOME BUYERS - May be eligible for 10K building grant. Lots ideal for a time poor couple that enjoy lifestyle, FIFO or downsizing baby- boomers. Walk the poach to the park! This well equipped 2 bedroom villa features enclosed front courtyard, split system air conditioning, security shutters, fully enclosed garage area, Solar panels and security system represents exceptional value. All this in a small friendly complex of 6 units. Call Calnan Property on 9364 3999 All Hours to arrange your viewing by appointment today. Located in extremely close proximity to the city and Kings Park this ideal short-stay investment studio apartment comprises of a refurbished kitchen & bathroom and an attractive return. High demand, easy maintenance and well reviewed for short stay accomodation. Beautiful tree lined Mount Street location with many picturesque surroundings, city views and urban beauty. Just a short stroll to the foreshore, the CBD, The Quay, Transport and many a picturesque Perth scene. Enjoy year around comfort with split-system, modern floor coverings, enclosed balcony or sun room for enjoying the views. *Please note the photographs are not up to date and are for illustrative purposes only. Call 9364 3999 to arrange an inspection by appointment only.